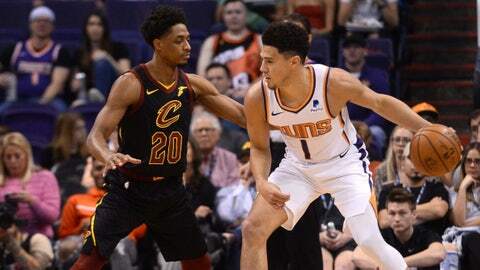 PHOENIX (AP) — Devin Booker sat more than eight minutes of the second quarter but had 13 assists. Josh Jackson had 19 points and 10 rebounds, and Jamal Crawford added 19 points for the Suns. SUNS: Bridges became the first Suns rookie and 11th in NBA history to reach 100 steals and 100 3-pointers in a season. He came into the game with 123 steals, and knocked down a pair of first-quarter 3s to reach 100. … The 71 first-half points were a season high for the Suns. They scored 69 in the first 24 minutes at Chicago last November. … Jackson blocked five shots.